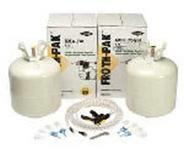 A two-part foam kit that is used to fill and insulate large voids or surfaces. Comes complete with gun, hoses and eight tips. UL Classified polyurethane foam kits that meet ASTM E-84 Flame Spread requirements. Cylinder Foams are dispensed with a dispensing wand or professional dispensing unit. Used to dissolve uncured foam, clean dispensing guns and as a general cleaning tool. For use on any foam insulation applicator gun. A unique product when compared to other products because of its DRY SEAL TECHNOLOGY, while other open cell window and door foam sealants can easily absorb and trap water - particularly from water pooling or wind-driven rain events. 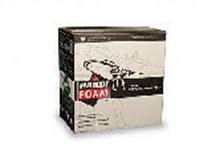 Unlike open cell foams, Handi-Seal® repels water, allowing for quick evaporation of moisture. It has been specifically formulated as a low pressure foam. Low pressure means that as the foam expands, it does not exert harmful pressure on windows and doors, which can lead to bowing of frames. TYTAN ONE-COMPONENT is ready - to- use polyurethane expanding foam formulated for filling, insulating and sealing gaps, cracks and openings in the interior and exterior of buildings. The multi - purpose formula creates a durable, airtight and waterproof seal that stops air infiltration, provides high insulation value and saves time and energy. It has excellent adhesion to most building surfaces including wood, glass, metal, masonry and plastic. It is environmentally friendly with no CFC's R22 or HCFC's and it is UL Classified. TYTAN PROFESSIONAL WINDOW & DOOR is innovative one-component polyurethane foam specially formulated for economical filling, insulating and sealing around windows and doors. The specifically engineered, low pressure, low expansion formula eliminates bowing of frames while filling gaps with a secure and energy efficient seal. TYTAN'S WINDOW & DOOR excellent thermal insulating properties are more efficient, labor friendly and provide a more effective energy seal than fiberglass insulation. TYTAN WINDOW & DOOR is environmentally friendly, contains no CFC's or HCFC's and it is UL Listed. Proper use of a NIOSH approved half mask respirator with organic vapor cartridges, safety glasses or goggles, nitrile gloves, and protective clothing is recommended for application of this product. The product is for PROFESSIONAL USE ONLY. The top load, all-steel guns are durable and perform like more expensive models. The Ultra Gun will give you increased output with a bigger bead. They are Teflon™ coated for easier cleaning. Window & Door is a minimal expanding, low-pressure formulation. Proven not to bow windows or doors. Gaps & Cracks is also a minimal expanding foam recognized as an alternative fire block penetration sealant. Orange in color to be more recognizable.